Price does not include batteries. Click here for more info on this product! Smooth, quiet, power packed machine with clutchless "Load and Go"
Featuring the originally patented aircraft self-loading "Lazy Susan", which prevents over travel and damage to nosegears. All Controls at the top of handle allowing one hand operational control with quiet, smooth gliding action. Very powerful and very precise. On-Board Charger and Electro-Magnetic Parking Brake are just a few unique features. Low profile for nose gear door clearance. 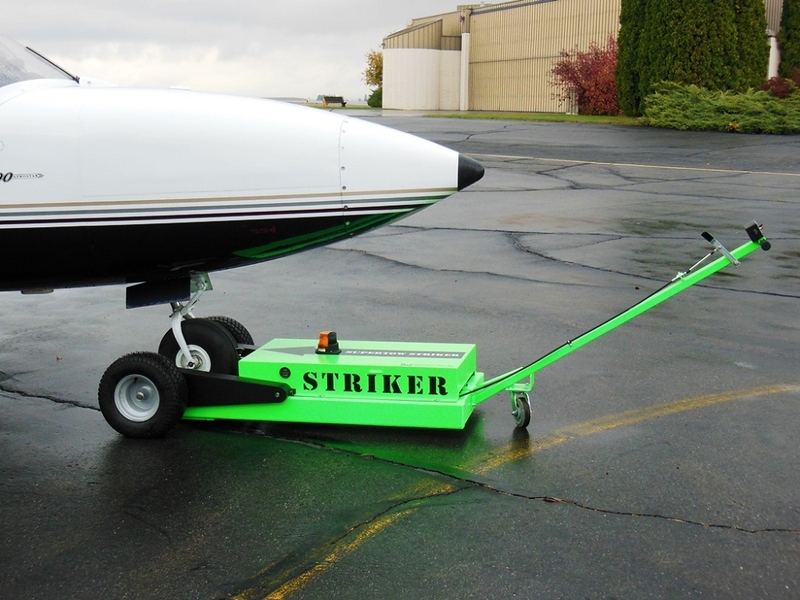 Safety Green Powder Coat Finish for easy identification on ramp and in hangar areas..
Load and Go in seconds...Truly original designs-providing quality parts...Saving you time and money while providing safety and ease of hangaring your aircraft. So many companies just copy products, cutting quality....Our engineering staff has passed on years of expertise to the Striker adding it to our complete line of tugs. Unit uses 3 heavy duty 4D batteries, and features modular wiring harnesses for easy assembly and maintenance. Unit price is less batteries. The Same robust design and features of the Supertow III. Ideal for larger aircraft (Without Wheel Pants), tail draggers and heavier twins such as Beech C-90, Cessna Conquest 425, De Havilland Twin Otter, Piper Seneca II etc. Shipped In one wooden crate. Approx. 700 lbs. Shipping cost have to be calculated manually.. You will be notified of shipping charges prior to finalization of sale.. 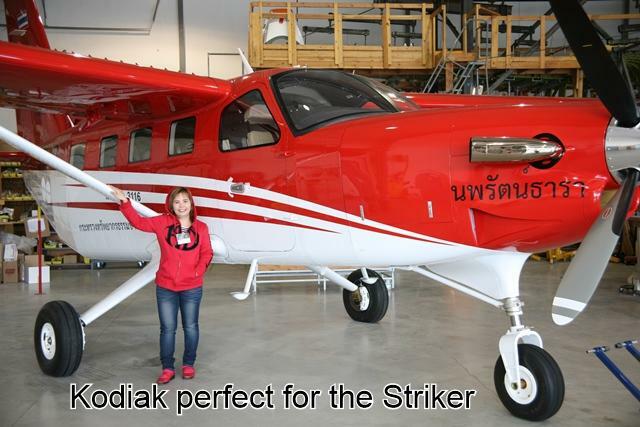 The Striker is a great addition to our hangar. We truly enjoy using this tug to tow our Citation CJ4. Much better than the gas versions and super easy to hook up to the plane. Quiet, lots of torque, better on icey ramps, precision towing. Charged up twice the first year. We are very pleased and recomend highly.